Social media world wide is connecting with the horror of the massacres in Paris, France. National monuments and buildings are being lit around the world with the French Tricolor. I was on the deck today enjoying a long lunch. 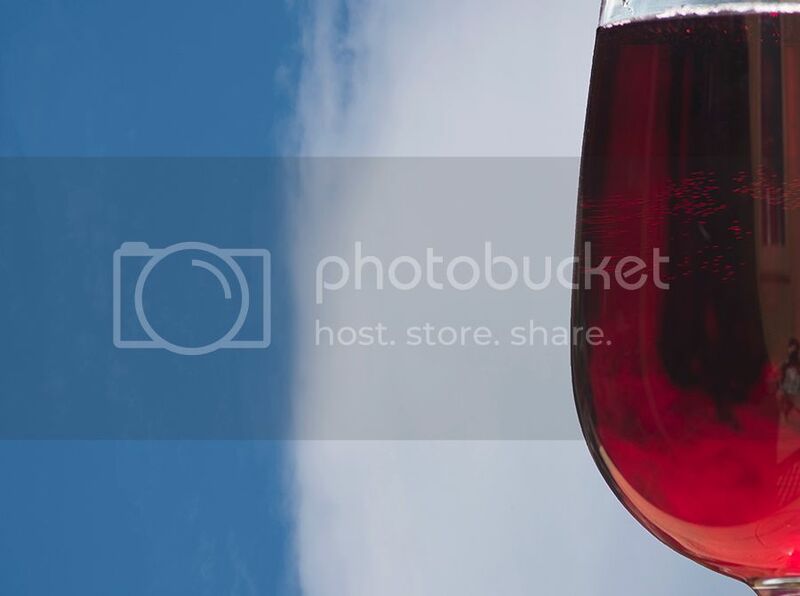 The sky, the clouds and the wine talked to me (as they do). Here's my deferential image to the French people. I want to work this theme and this shot up a bit (then I want it see it go viral). Any suggestions (especially from guys like. I dunno, Nicolas) would be welcomed. Great photo and concept, warm feelings from you Andy! Cheers! Tchin tchin ! A la tienne ! By all means put it up. The other part says "don't be silly, it's a simple response to the times....and copyright stickers ruin the image too"
The theme is in line with the sentiment " they may have bombs but we have Champagne!" Cheers and Tchin tchin! A la tienne.... nosdrovya, jol mui, slange, yackydah, mo hai bah yo, Bula etc. Wonderful art and unifying gesture of appreciation and solidarity! Do you have you're own Fb page so I can "tag" you ? No, Nicolas, no facebook, I don't even have a website anymore. Vive le bleu, blanc, et rouge! Hi Nicolas, what a shame the flag has taken on that meaning. Sadly the same thing has happened here in Aus. Even the southern cross (stellar constellation) which features on the flag has been hijacked by neo nationalists. It's an extremely common tattoo that people have and usually can be read as ' I'm a dumb arsed bigot'. Terrible shame. I love this one and it really sings.